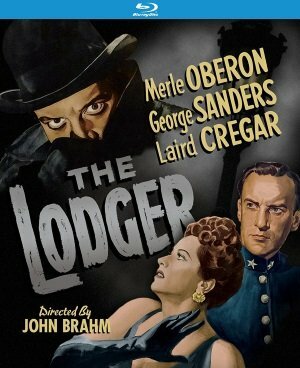 Laird Cregar is The Lodger (1944) (Kino Lorber Studio Classics, Blu-ray) in the third screen adaptation of the thriller by Marie Belloc Lowndes (the most famous was the 1926 film directed by Alfred Hitchcock) set in London during the reign of Jack the Ripper. 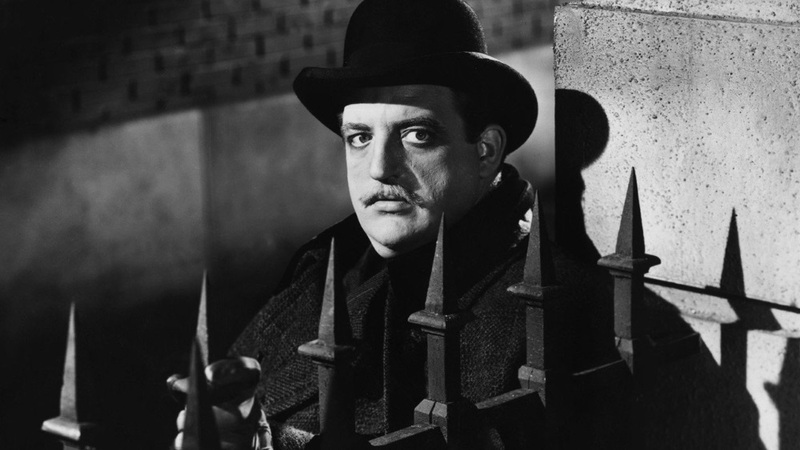 While the city panics in the wake of another murder of a showgirl by the knife-wielding madman, a man who identifies himself as Mr. Slade (Cregar) takes a room in the middle-class home of an elderly couple with financial difficulties (Sir Cedric Hardwicke and Sara Allgood). Also living there is their niece Kitty Langley (Merle Oberon), an attractive, flirtatious entertainer making the leap from music halls to more respectable theaters, and the Bible-quoting Slade can barely hide his fascination behind his admonitions of sin and temptation. George Sanders co-stars as the Scotland Yard investigator who becomes sweet on Kitty and suspicious of Slade. For good reason. This is film noir by way of gothic thriller, a shadowy suspense thriller in the Victorian era of gaslight and horse drawn carriages on cobblestone streets, and director John Brahm gives the film a lively energy.